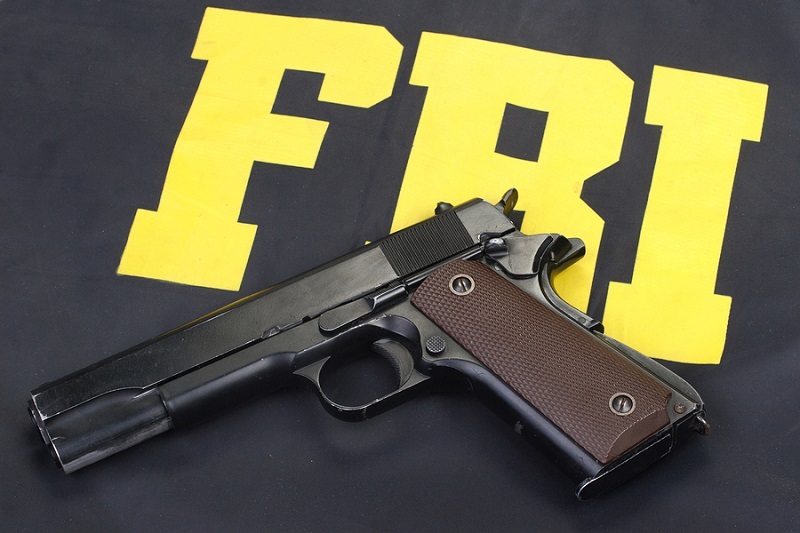 The FBI cant is a carrying position for firearms, specifically the angle at which the pistol grip sits. Carrying position is an important consideration, as it impacts both ease of carrying and draw. The "FBI cant" is where a pistol grip sits at a 15 to 20 degree angle forward from a straight perpendicular 90 degrees. More accurately, the top surface of the pistol is tilted forward by 15 to 20 degrees from vertical. It's a positive cant angle; a grip angle that is rearward of the perpendicular is a negative cant. One is likely to run across the term in discussion of concealed or open carry as it's how a holster holds a pistol in place. "Cant" in this case refers to the angle at which a pistol's grip is carried. Cant is an engineering term for an angle, most often used regarding an angled surface like a road; basically it's a synonym for "grade. Interestingly enough, jargon or other specialized language is another definition of the word, so it is literally the case that using the word "cant" is, itself, cant. It's called "FBI cant" because the bureau (ostensibly) got agents to carry at this angle because it worked better than other carrying positions, and it spread from there. Holster cant matters for a variety of reasons. First is the draw, as the grip angle impacts how quickly a person can draw. The more motion is required to draw, the longer it will take. How one draws their weapon is very important. In feudal Japan, samurai learned an aspect of swordsmanship called "iai" - drawing the sword. Commonly called iaijutsu or Iaido, it incorporates (among other things) attacking or counter-attacking into the draw itself, and practitioners (it's still practiced) learn to attack and draw from multiple positions, because a person might not have more than a few seconds to defend themselves. The same is true for drawing a pistol. It's not like you can tell a bad guy "could you wait? I'm getting my gun out." Another reason holster cant matters is that it impacts how easy carrying is on the carrier. For instance, a pistol carried at a perfect 90 degrees can be drawn very quickly. However, the gun will print, jab the wearer and possibly fall out of a holster if a holster lacks proper retention once the carrier sits down. Proper retention, after all, is necessary. 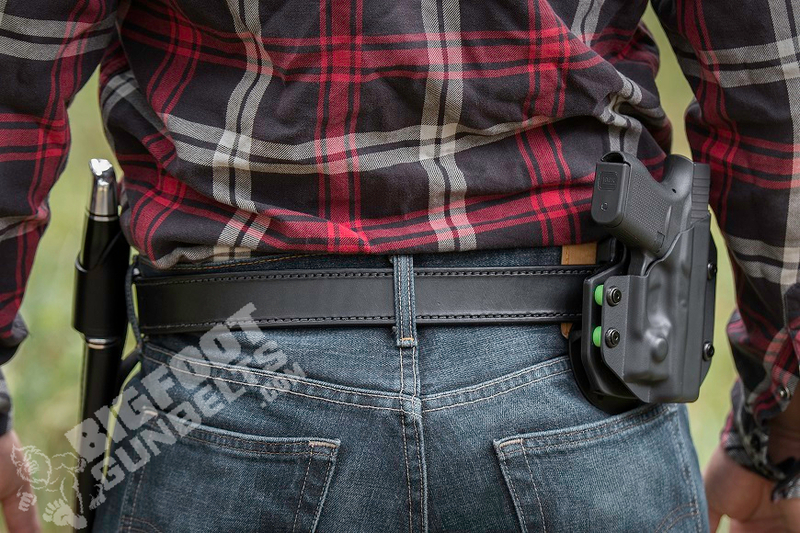 A good holster is a must, as is a quality gun belt. Being able to re-holster is another matter. Some insist on easy holstering and re-holstering; some don't worry about reholstering for a variety of reasons. 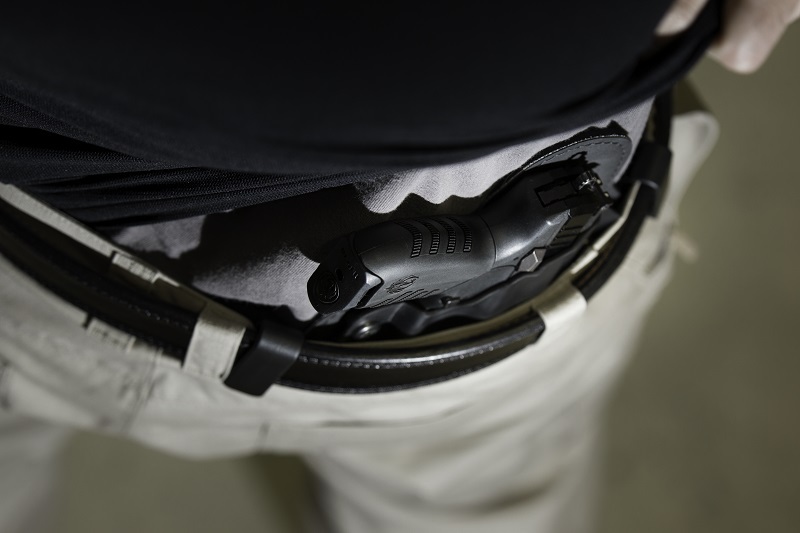 FBI cant is very popular for inside the waistband (IWB) and outside the waistband (OWB) carrying, especially in the 3 O'clock position. Positive cant makes drawing increasingly cumbersome forward of this position. Some people insist it slows draw time (it requires slightly more motion than vertical cant) though is generally considered more comfortable when seated. The pistol can also be drawn more easily while seated compared to a vertical cant. In other words, it's the best of all worlds, which the FBI probably figured out at some point. Hence, they told agents to carry and conceal this way and that's why it's the FBI cant. Vertical cant at the 3 O'clock through 6 O'clock positions draws and conceals easily. However, the closer to the hip a holster is worn, the more uncomfortable, and is also not easily drawn while seated. Negative cant angles (rearward of the perpendicular) are more conducive to cross-draw and appendix carry. This requires less motion to draw, though carrying in this manner points a gun at parts not everyone wants punctured and is not easily drawn while sitting. Some people carry with an OWB holster at the small of the back with a 90 degree cant; the grip will point straight up or down in this case. Draw in this case is much easier, but one can easily wind up sitting on their pistol. 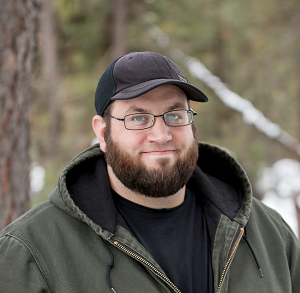 It can be uncomfortable and concealment requires an untucked shirt or outerwear.